Sulli posed in the city that she believes resembles her the most - New York City! 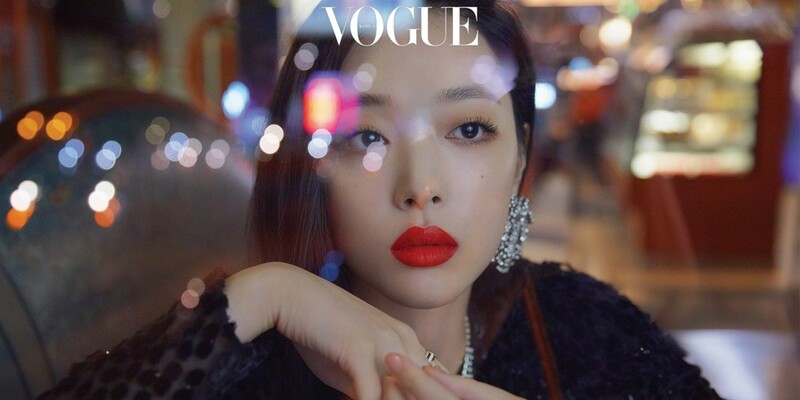 Previously in an interview, Sulli shared that she'd fallen in love with New York City the first time she visited, and coined it as the city that resembles her most. 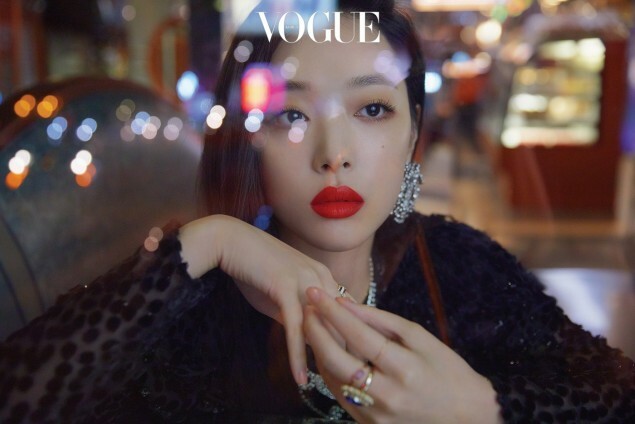 For her latest 'Vogue Korea' photoshoot, Sulli posed in an 80's style diner, dressed in luxurious, evening party outfits. She modeled various shades of 'Estee Lauder's 'Pure Color Desire' lipstick line; Sulli has been an endorsement model for 'Estee Lauder' in Korea for the past 3 years. About her future promotion plans, Sulli answered, "I plan to keep in acting. It's the most difficult challenge, but it's also more fun the more I challenge it, so I can't give up on it. When I'm doing something I want to do, is when I can work the hardest, and do my best. If I'm having fun, then I think that energy will be delivered right to my fans." Check out Sulli's stylish pictorial below! I love this classy look. Sulli's so beautiful. She's the perfect model, beautiful but not plain or generic.